Requires Nightlife. Found under Deco - Sculptures. 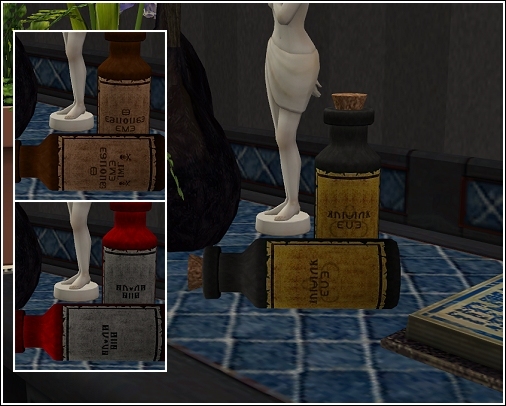 Deco potion bottles, one standing upright and one knocked over. Both versions have two recolors, red and brown. 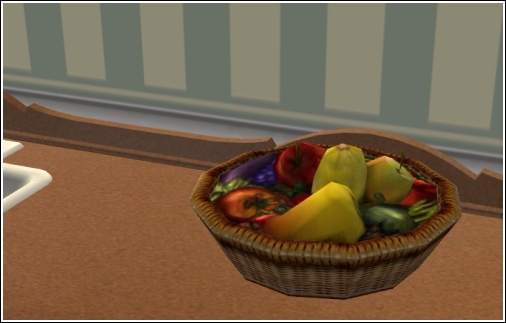 Labels are written in simlish. Base game compatible. Found under Deco - Sculptures and costs 24. Deco old book. 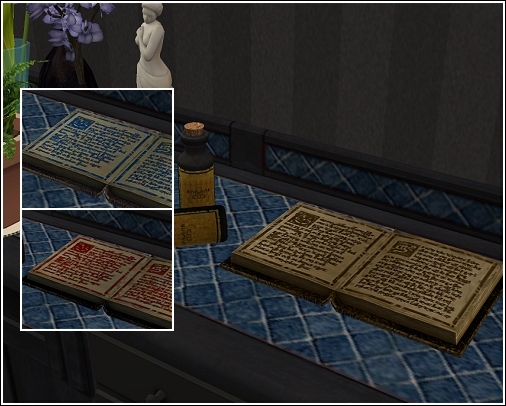 The book comes in two recolors, red and blue. Deco Llama taken from the game 'Don't Wake the Llama'. 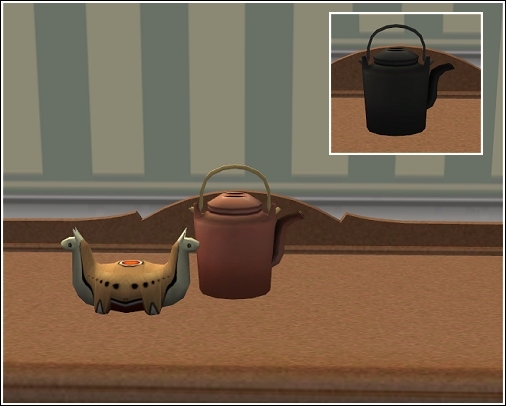 Deco tea pot taken from Bon Voyage table, also comes in black. Base game compatible. Found under Deco - Sculptures and costs 25 and 34 respectively. Harvest basket taken from the Seasons juice maker. 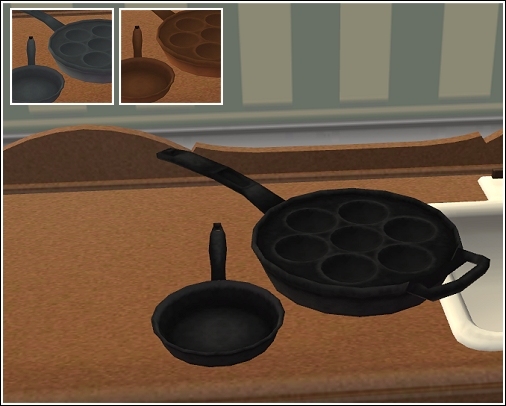 Two seperate skillets taken from an EA wall mesh. Comes with two recolors, silver and bronze. Base game compatible. Found under Deco - Sculptures and costs 22 and 23. 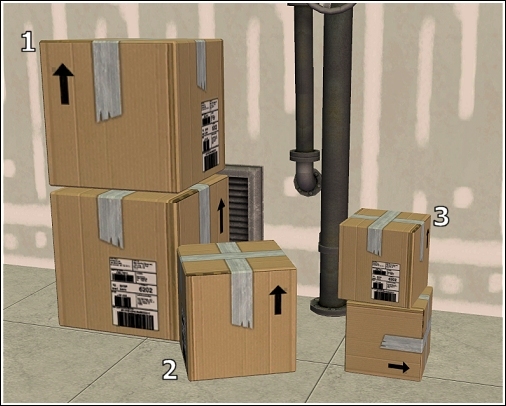 Two stacked boxes set and one single box, taken from various EA meshes. Base game compatible. Found under Deco - Sculptures and costs 45 and 25. 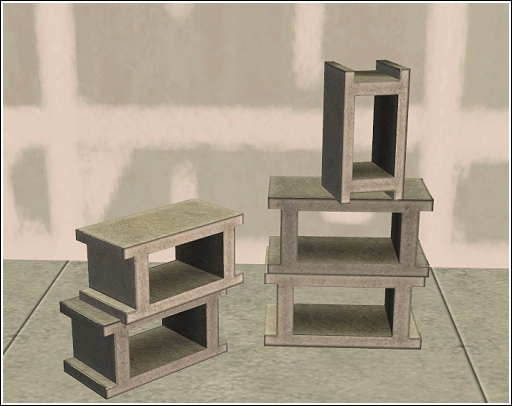 Two stacked cinder block sets, taken from EA meshes. Base game compatible. Found under Deco - Sculptures and costs 28. 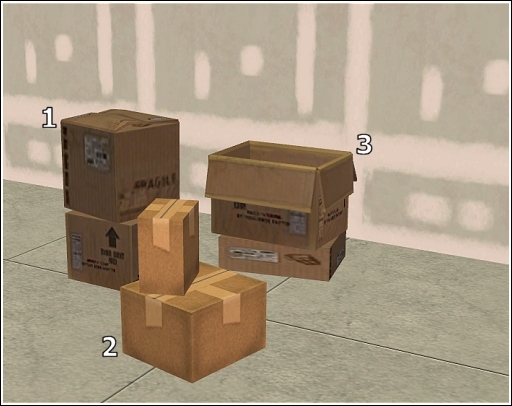 Three stacked and worn boxes, taken from various EA meshes. Base game compatible. Found under Deco - Sculptures and costs 15 and 25. 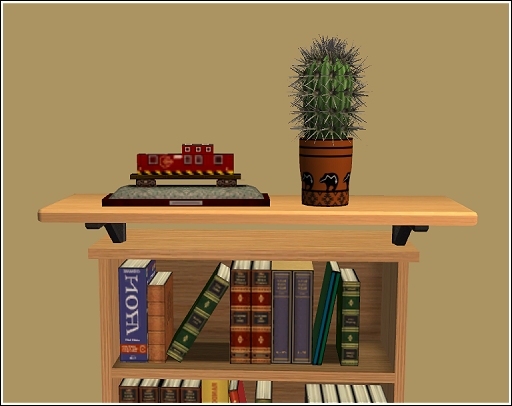 A train model ripped from the Collector's Shelf, a bonus item from Free Time, and made singular.